As the United States continues to move into the specialized advanced manufacturing and tech realm, so, too, does the state of Washington. And while the Evergreen State leads the nation in the creation of jobs in the science, technical, engineering and math (STEM) disciplines, there’s still a shortage of those skill sets in the workforce here. Already an estimated 25,000 jobs – most in the STEM disciplines that support advanced manufacturing – went unfilled statewide in 2013 due to a lack of qualified candidates, according to the Washington Roundtable. In King County, the number of jobs available in the industrial engineering, mechanical engineering and electrical engineering sectors is projected to post a modest uptick in the years between 2013 and 2023. However, the demand in those sectors will exceed the supply of qualified workers many times over, according to data from the Washington State Employment Security Department. 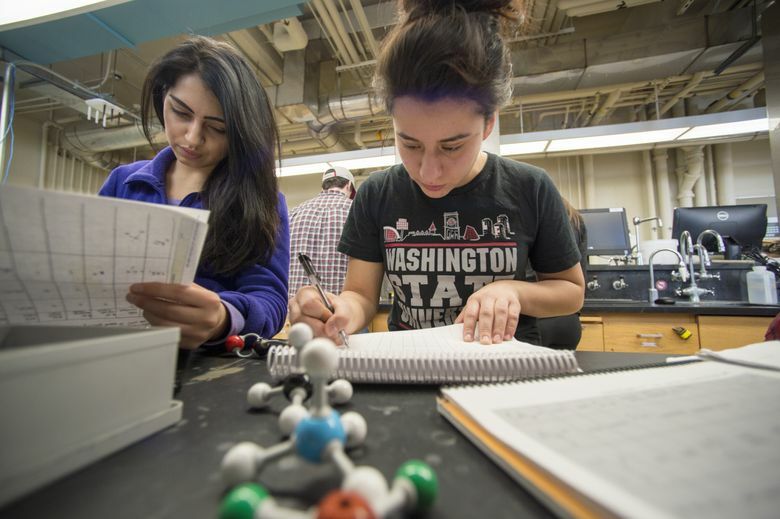 Over the last five years, the number of undergraduate students in STEM majors at WSU increased by almost 30 percent, while the number of degrees awarded in these same disciplines increased by more than 20 percent. 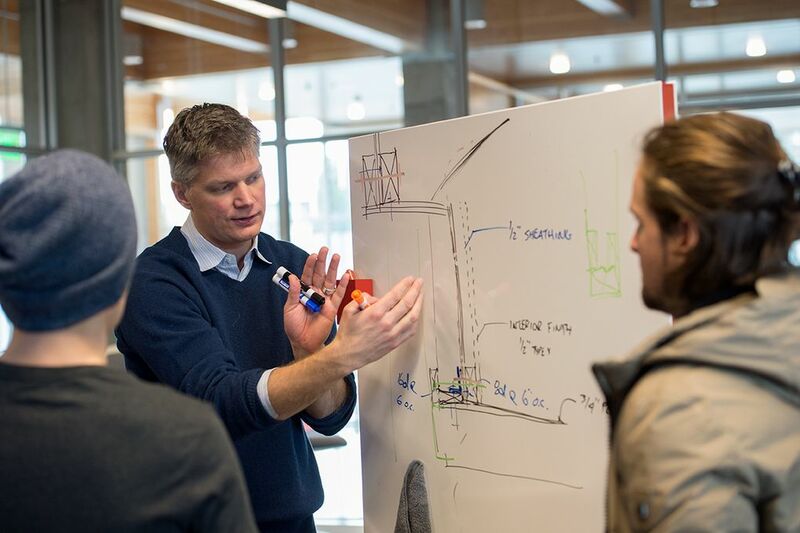 WSU’s Voiland College of Engineering and Architecture was recently selected by the National Center for Engineering’s Pathways to Innovation as one of 25 schools and universities nationwide to take part in a program designed to build a national entrepreneurship network for engineering. Designing STEM disciplines to meet the demands of both traditional and evolving workforces needs to provide local industry with the skilled engineers needed to not only keep pace with but to lead as new fields emerge. Today’s STEM-trained innovators have made a quantum leap past the “build a better mousetrap” dream of a century ago. Whether they’re finding a new solution to an old problem, pioneering the use of new sustainable materials and methods, or pushing the best-practices envelope in industry or medicine, they are making tangible contributions to a better world. Some students are learning to bridge science and business. Washington State University students Emily Willard and Katherine Brandenstein are hoping to save lives someday with a product they’ve developed to make injections safer in the developing world. The bioengineering students in the Gene and Linda Voiland School of Chemical Engineering and Bioengineering took first place and won $10,000 from among 18 teams across Washington for their design idea in the University of Washington’s Health Innovation Challenge. In a contest funded by the Environmental Protection Agency, Voiland students designed energy-saving walls constructed entirely of trash, a process they hope will be developed into a consumer product. WSU students are designing and building a net-zero energy home as part of the nationwide Solar Decathlon competition. WSU is one of 16 universities from across the world participating in the competition, which aims to increase public awareness of solar energy and inspire innovative solutions in ecological design. Computer Engineering student Ryan Summers was one of just 252 students across the U.S. to receive a prestigious Goldwater scholarship. Summers is interested in how parallel computing can help improve machine learning algorithms and make them more useful. He is doing an internship at Space-X this summer. This emphasis in the STEM disciplines could not have come at a better time for industry. Boeing, for example, will continue to generate enormous demand for new workers skilled in STEM disciplines, according to Alex Pietsch, WSU’s associate vice president of corporate relations. Why the continued demand? Because 48 percent of the current Washington-based Boeing workforce is eligible for retirement by 2020, including thousands of engineers who will need to be replaced, Pietsch says. Boeing’s workforce totals nearly 80,000 statewide, including about 30,000 in Everett. “More than half of the Boeing Co.’s global employment is located in Washington state. We have a supply chain here that currently includes 1,350 different companies. They all have engineers, so if we’re going to support the aerospace industry in Washington we need to be feeding those engineering jobs,” says Pietsch, who created the state’s first strategic plan for developing its aerospace industry and helped shape the winning bid to have Boeing build the 777X in Everett. To help fill the demand, WSU’s Board of Regents recently approved recommendations to establish several new engineering degree programs this fall, including software engineering at WSU North Puget Sound at Everett, electrical engineering at Olympic College in Bremerton, an online master’s degree in software engineering through WSU’s Global Campus, and construction engineering at its Pullman campus. Learn more about how Washington State University researchers untangle complex problems to enrich quality of life for us all. To stay connected on the latest research, academic programs, and updates from Voiland CEA, be sure to follow Voiland News and its social media sites.